The superhero film has a predominantly black cast, including strong female characters. It's Facebook to the rescue. 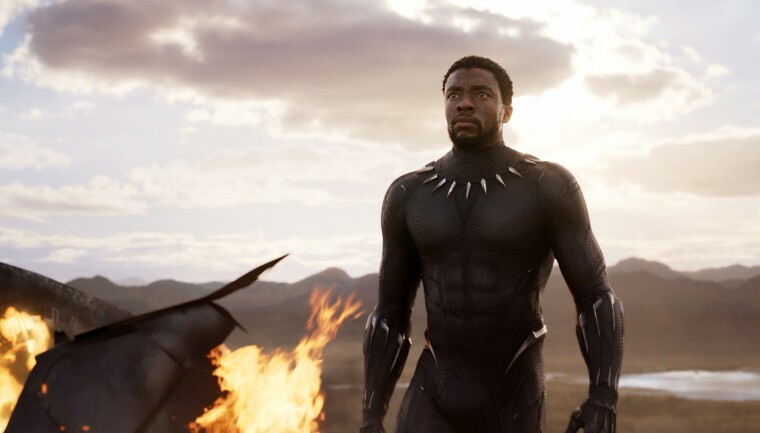 A Facebook group calling for people to leave negative reviews on the website Rotten Tomatoes for the upcoming "Black Panther" movie appears to have been shut down by the social network. The plot was reportedly masterminded by anti-Disney internet trolls who had previously taken credit for generating negative reviews of "Star Wars: The Last Jedi" and making derogatory comments about the characters, including the addition of more women into the franchise. These efforts are meant to depress the overall ratings of the movies on RottenTomatoes.com, which have become important in the movie industry. The group, called "Down with Disney's Treatment of Franchises and Its Fanboys," appears to no longer be accessible on Facebook. A Facebook representative did not immediately respond to a request for comment. Attempts to access the group were met with a notification from Facebook saying that the company had removed the page, according to MarvelStudiosNews.com. Black Panther, which is based on the Marvel Comics character of the same name, opens on Feb. 16. The superhero film has a predominantly black cast and strong female characters. Prior to being shut down, the group posted an event urging people to "strike back at all those under Disney and bring down the house of mouse’s actions for paying off the critics that hurt DC Comics on film and for other parties affected by them." "I’ll be making events like this for Infinity War and the Netflix shows etc so we can rally together to truly make a difference. Share this with your friends and all potential sympathizers," the post said, according to The Wrap. In December, a self-professed member of the alt-right said they were launching coordinated attacks online because they took issue with the inclusion of more female characters in the "Star Wars" franchise and commented that characters Poe Dameron and Luke Skywalker are in danger of being “turn[ed]” gay," according to HuffPost. While shutting down the coordinated effort on Facebook may help, Dana Benson, vice president of communications at Fandango, the parent company of Rotten Tomatoes, told NBC News in a statement that the site is being closely monitored for any activity that may cross into hate speech. "We respect our fans’ diverse opinions. We do not condone hate speech," Benson said. "Our team of security, network and social experts continue to closely monitor our platforms and any users who engage in such activities will be blocked from our site and their comments removed as quickly as possible." Fandango is owned by Comcast, the parent company of NBCUniversal, which owns NBC News. Rotten Tomatoes ratings have become a touchy subject for Hollywood. While "Lady Bird" proudly touted its status as the best-reviewed film of all time on Rotten Tomatoes, the website has also endured growing skepticism about its effect on box office performance as well as the accuracy of its ratings. The review bombing of "Star Wars: The Last Jedi" appeared to work. The movie received a 91 percent "fresh" rating from critics, but 48 percent from fans — indicating that online reviews submitted to the website were far more negative. A moderator of the group said rigging the scores for the latest installment of "Star Wars" required knowing "a thing or two about Bot Accounts," according to The Wrap. "I used them to create this audience score through Facebook accounts created that subsequently logged into Rotten Tomatoes who rigged this score and still keep it dropping," the moderator said.